He was the top Test batman in the world, with numbers bettered only by the great Don Bradman – then captain Steve Smith led Australia into a cheating scandal that stunned cricket. How did a team with such hard-edged history reach crisis point under Smith, and what happened on their tour of South Africa to cause such a failure of culture on the world stage? 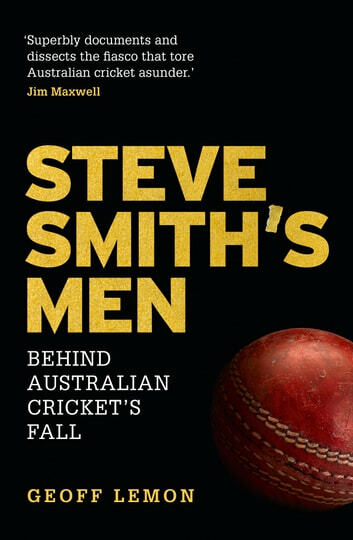 This is a full and frank narrative of Smith’s captaincy, David Warner's influence, the dramas that beset Australian cricket, and a blow-by-blow account from Ashes high to Cape Town low, from someone who was there for every ball and every statement. Geoff Lemon writes a dramatic story that exposes how the actions of a few young men shook the very foundations of the Australian cricket establishment, and where the future might lead.